In the spirit of the election season, there is a good variety of political bestsellers floating around on the Amazon Kindle and Kindle DX Top 100 List. Objectively speaking, I just thought I’d bring some of them to your attention. Obama’s Wars is an inside look at the Afghanistan War and Obama’s uphill battle to providing an exit strategy. According to Amazon’s reviews, this book contains firsthand accounts and secret debates between top White House leaders including the President. The reviews are mixed. 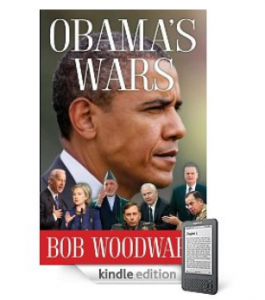 Some say Bob Woodward did a great job portraying the insider information. Other reviewers say this author is past his prime. For some rather intense takes on Obama’s administration and policy, check out David Limbaugh’s Crimes Against Liberty and Dinesh D’Souza’s The Roots Against Obama’s Rage. They both have good reviews. Robert B. Reich, the Secretary of Labor under Bill Clinton and the author of Supercapitalism, recently released a novel called Aftershock: The Next Economy and America’s Future. The basic message of this novel is that the stimulus package has not led to greater economic recovery because it does not address income inequality. One reviewer describes Aftershock as one of the best novels to read about the stimulus package because of its critical insight into the issue. It also addresses the role of automation technology in the crisis. On another note, Tony Blair wrote a novel about his prime ministership called A Journey: My Political Life that has great reviews. It appears to be a deeply revealing personal account. One reviewer pointed out that Blair’s writing is genuine as opposed to the usual political pompousness that seems to be the norm in many political memoirs or autobiographies. Blair also provides great insight into his relationships with important world leaders including Presidents Bush, Clinton and Obama. On November 9th, which I believe is Election Day, George W. Bush’s memoir, Decision Points will be released. The novel takes an in depth look at the major decisions in his presidency. These include 9/11, the Iraq and Afghanistan Wars, Hurricane Katrina and the financial crisis. So this should be an interesting and insightful read. This entry was posted in Amazon, Good Kindle Books At A Glance, NYT Best Sellers and tagged A Journey: My Political Life, Aftershock: The Next Economy and America's Future, Bob Woodward, Crimes Against Liberty: An Indictment of President Barack Obama, David Limbaugh, Dinesh D'Souza, Obama's Wars, Robert B. Reich, The Roots of Obama's Rage, Tony Blair by holly. Bookmark the permalink. You describe Aftershock as a “novel”. I don’t think this book is meant to be a work of fiction. A slight correction to your post, election day is November 2nd and not the 9th.